Reporter makes massive Miguel Almiron claim – This would be huge news for NUFC.. 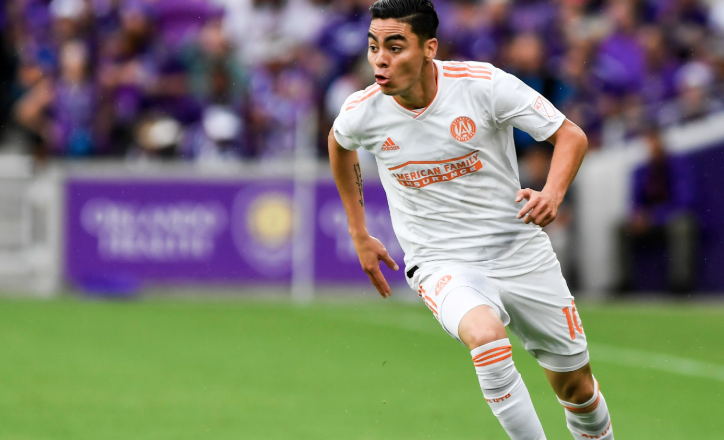 According to leading Paraguayan reporter Bruno Pont, Miguel Almiron is now just ‘hours away’ from signing for Newcastle – claiming there is now an ‘agreement’ in place between all parties. Now, we’ll take with this with a real pinch of salt given a similar claim last week was totally denied by Atlanta’s President in an interview with Sky Sports, however the journalist claiming it this time is a senior Paraguayan reporter with almost half a million followers on Twitter. Miguel Almirón firmará en las próximas horas con el Newcastle de Inglaterra,ya hay un acuerdo de todas las partes. In addition, the Atlanta star has just posted on his personal Instagram page stating ‘Next stop?’. A message that could mean nothing, but it certainly adds fuel to the fire when posted shortly after claims that he’s now on his way to England. Almiron’s insta story. “Next stop?”. The playmaker helped Atlanta to MLS Cup glory over the weekend, with him bagging an impressive 13 goals and 13 assists from midfield across the season. Strong claims from reliable source in Paraguay….